Aspens along McClure Pass in central Colorado show there fall splendor as they transistion from green to a brilliant gold. 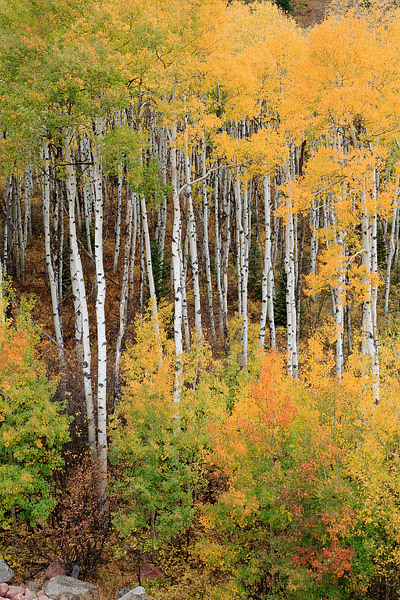 McClure Pass is located near the town of Marble and is host to one of Colorado most colorful and vibrant concentrations of Aspen groves. Photo © copyright by Thomas Mangan.